I am still working on the C.B. The control lines, upphaul and downhaul needs a reliabel point of attachment. The distance from that point to the rollers should be as small as possible. It is also important that the knot or splice is beyond the fitting as not to add to the lenght. A knot two inches long on each side of the fitting means four inches and if there are two fittings worse. 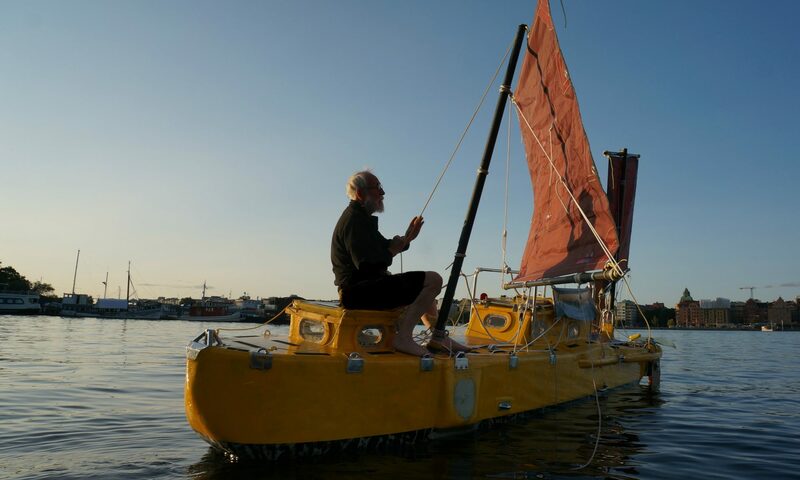 It is worse becouse the whole centerboard case will be that much bigger and if you build a ten feet ocean going boat it is nice to conserve space. The following pictures show my solution. Click once or twice to enlarge. 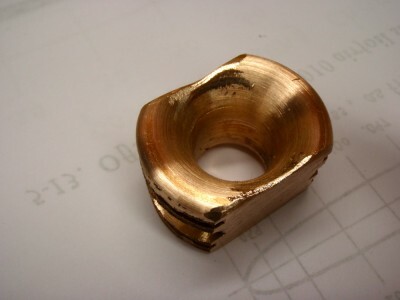 The above shows a thimble I made of bronze. I will encapsulate it on the top of the C.B. 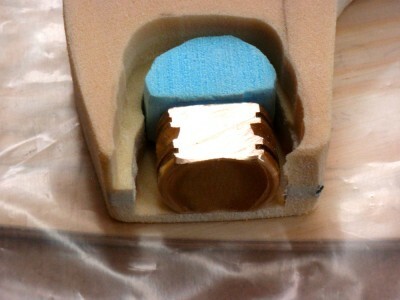 the surface is increased to get more contact with the epoxy. One more square centimeter means 300 kilo more load can be absorbed. The hole is just big enough for two 10 mm ropes to pass through. 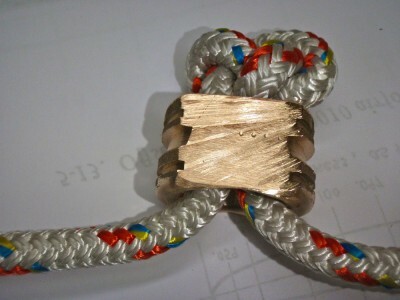 A figure eight knot acts as a stop. The fitting in its position ready to take the thickend glassfibre reenforced epoxy. The blue stuff is styrofoam preventing the epoxy to fill the space where the rope and the knot later will be.